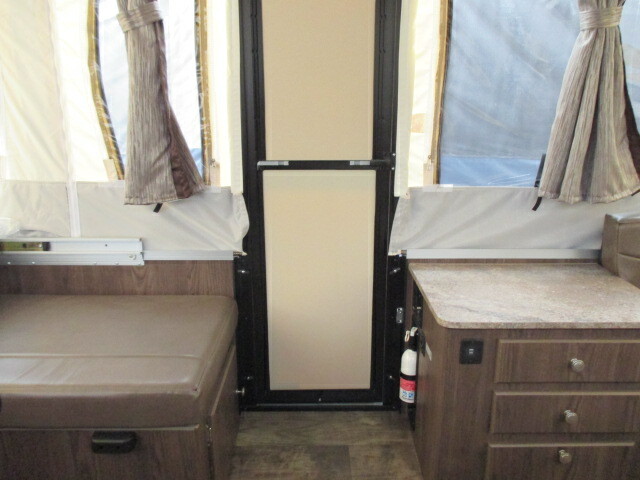 Plenty of space for late night games is included inside this Rockwood Freedom Series 1980 folding pop-up camper by Forest River. 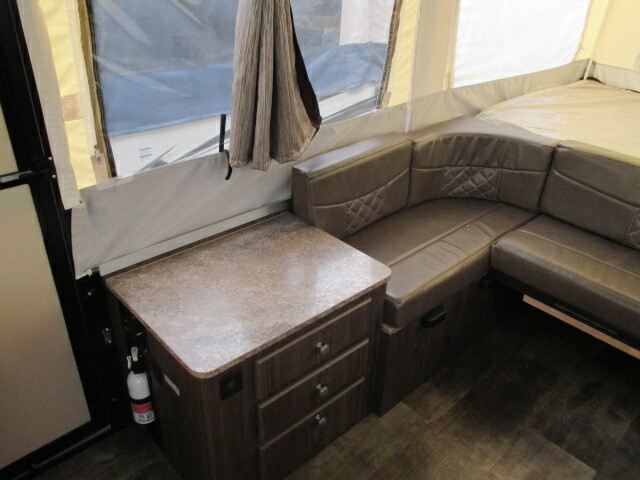 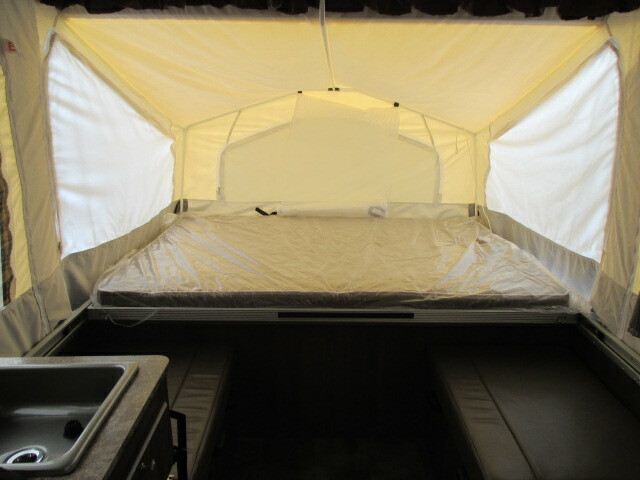 A front booth dinette and rear u-shaped dinette allow lots of space for eating, playing or sleeping. 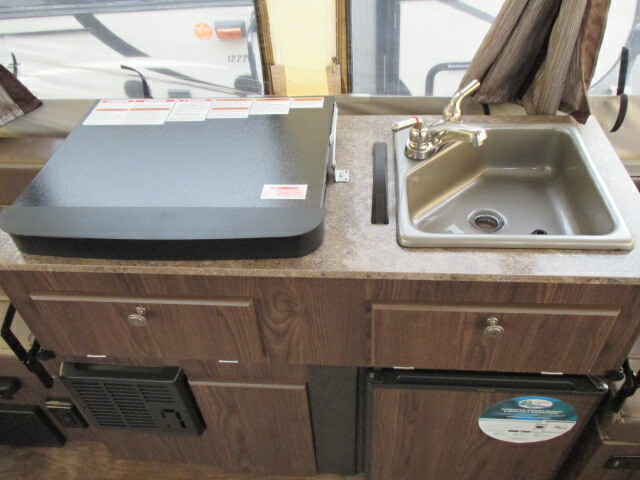 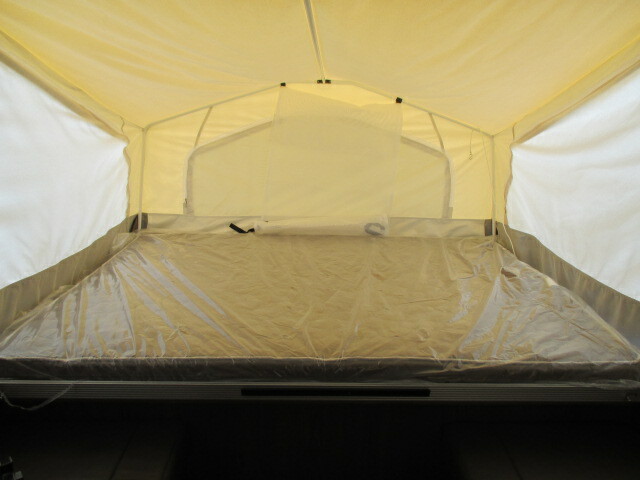 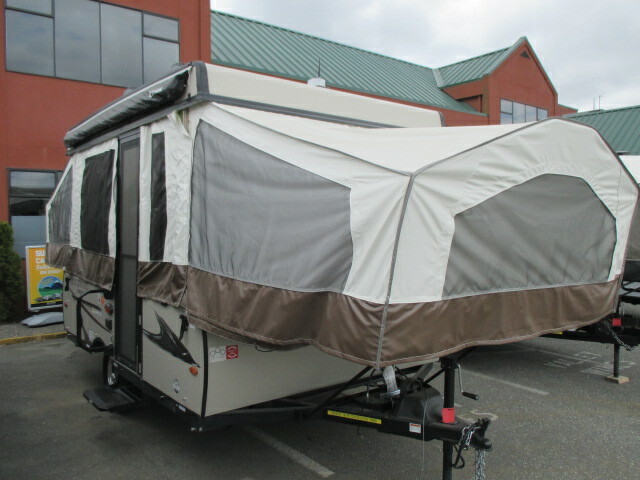 To learn more about this unit, come on down to Travelhome, and we'll help make your dream a reality.